A recent fire at the National Archives in Kew, home to some of the UK’s most important historical documents, was tackled by 20 firefighters. The blaze was caused by two disused water towers at the site in Richmond, South-West London. The National Archives is the official UK government archive and publisher and holds 11 million historical documents of national importance, some dating back more than 1,000 years. Among its collection are the Domesday Book, parchments, electronic records, photographs, posters, maps and paintings. Fortunately everyone was evacuated from the building safely and no documents were damaged although the building was closed to the public for a short period for recovery. This type of incident focuses people’s attention on the importance of preserving key documents and items of irreplaceable value, not just for large national institutions but also for businesses and individuals. For this reason more and more people are looking at ways to preserve such items in the event of a fire. Safelincs has a range of solutions ranging that start with fireproof document boxes for under £30 and go right up to high capacity fire safes for storing computer media and files. And, in the light of recent floods we are increasingly being asked for safes that will provide water protection as well. 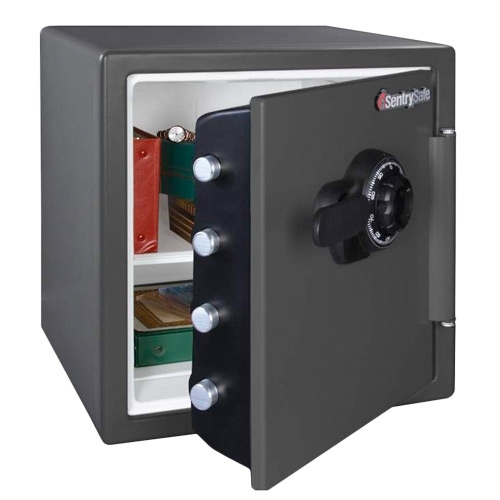 We have a range of fire and waterproof safes for paper documents and digital media that start at under £200. These fireproof safes with water protection have UL certification and have passed submersion testing to ensure their suitability. Next Next post: Why choose the Ei2110 multi-sensor smoke alarm?